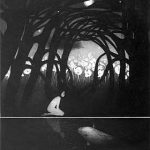 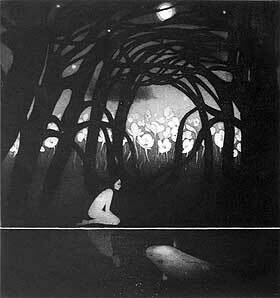 I am inspired by poetry and powerful and strange images from fairy tales and myths. 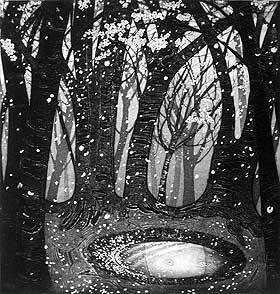 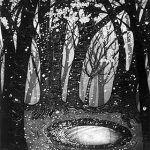 I use observational drawings from nature to create imaginary scenes with an atmosphere of enchantment: a glimpse through trees of the white hart.Etching gives deep mysterious blacks which I combine with the painterly marks of collagraphs. 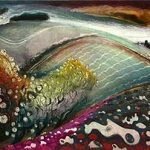 I enjoy the physical nature of etching, the working of metal to express tree bark or rain clouds over flints on the chalk downs. 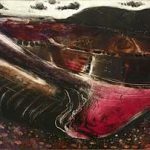 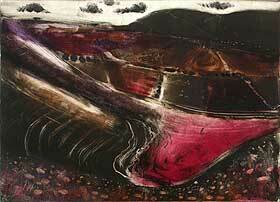 My monoprints inform my etchings as they explore colour and composition and refine texture and imagery until the landscape tells a storyI have shown in London at the Mall Galleries, Will’s Art Warehouse, the Affordable Art Fair and the Royal Academy, and with Barn Galleries, Henley on Thames; Brighton Art Fair down south, and RBSA gallery in Birmingham. 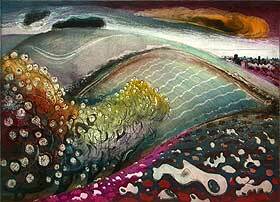 I regularly show with OPC and during the Oxford Artweeks festival in May.